October holidays in USA 2019. Federal, Public, National and Observance October Holidays image cards in the United States. Properly spelled Bologna, it is sometimes spelled “Baloney”. It is pronounced like the latter spelling. Bologna is a sausage. It’s commonly used as a luncheon meat. Mom and kids know it well. Frankenstein Day is on August 30. This day is in honor of author Mary Wollenstone Shelley who was born on August 30,1797. She wrote the book “Frankenstein “in 1818. This day in in honor of her birth. October 11 is It’s My Party Day, a great excuse to have a party for no reason at all! 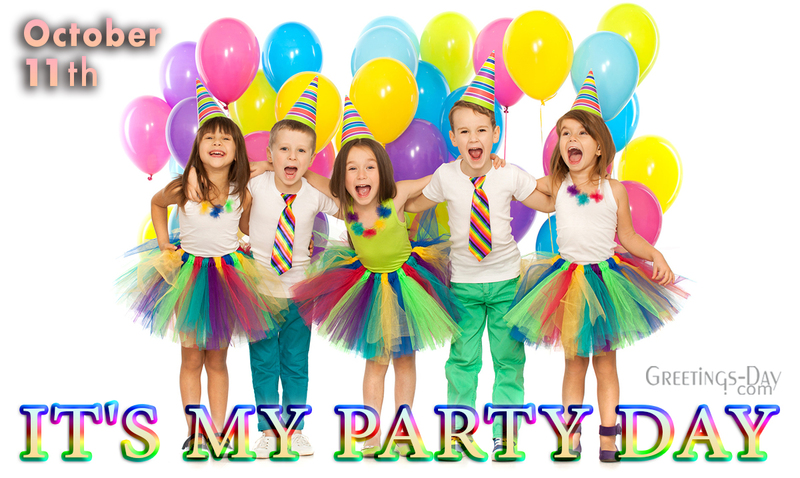 All you need to do is to invite all your friends and family to a fun party! While the origins of this unofficial holiday are unknown, it is safe to say that it encourages people throwing a party to celebrate themselves. Old Farmers Day honors the hard labor of farmers throughout American history. Early American culture was heavily a farming culture. Early settlers cleared fields and pristine woods, to farm the rich land. They brought seeds and farming methods with them. They found new seeds, and learned new methods along the way. Many of those new farming methods came from Native Americans, who were already farming the land. Most notably, was the concept of hilling, or mounding soil. Cookbook Launch Day is a little known day designed to launch a new cookbook. Schools, churches, clubs and a wide range of organizations ask members to donate a recipe for creating of their own cookbook. Working with a publisher, they put a neat cookbook together filled with cherished recipes, and publish it for members and friends. It is often used as a fund raiser. National Gumbo Day is today. It’s a great opportunity, to enjoy a little Louisiana Cajun cooking. It is easy to participate in this special day. Simply eat some Gumbo. For those of us in the south, that is easy, as Gumbo is almost all restaurant menus. Moment of Frustration Day is truely a frustrating day. We believe one of the most important reasons for today, is the opportunity to let your frustrations out. If you are not frustrated, count your blessings. Don’t use today to add to your frustrations. And whatever you do today, don’t find new things to be frustrated about. International Skeptics Day is the perfect day for you…the “doubting Thomas”. Perhaps the earth isn’t really round!? Maybe, the sky isn’t truely blue!? Does he(she) really love me!? ……..These are the words and questions of the classical skeptic. National Dessert Day is a rich day filled with yummy treats! Celebrate National Dessert Day today. For just one day, forget about the calories and high fat content in many desserts. Then, tomorrow you can go back to your diet. 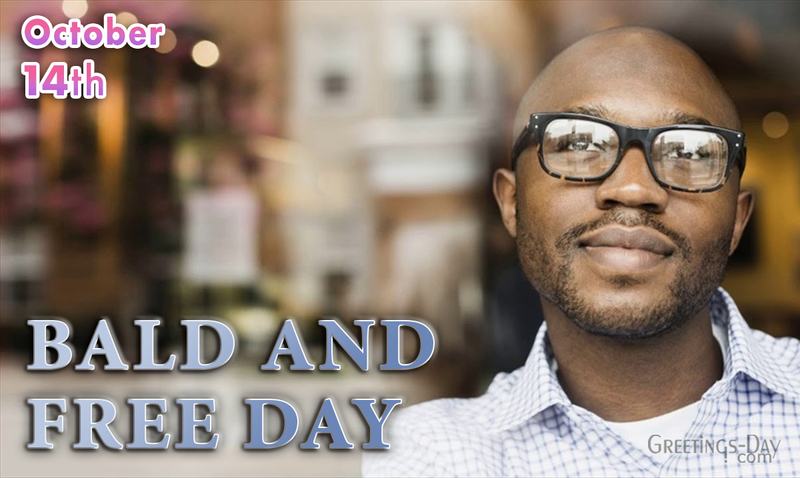 Bald and Free Day honors those of us with a beautiful, shiny top. You don’t’ have to be bald to celebrate this day. But, it helps. People who are married to, or related to a bald headed person can celebrate with the honoree. Dictionary Day is in honor of Noah Webster, considered the Father of the American Dictionary. Noah Webster was born on October 16, 1758. The objective of this day is to emphasize the importance of dictionary skills, and seeks to improve vocabulary. Now here is a day that gives you a chance to both tell and show the boss what you really think of him or her. And, it is an opportunity to give your boss the appreciation that he or she truely deserves. So go right ahead and give it to him…..give it to him good! After all, it only comes around once a year. Today is National Pasta Day. Choose your favorite pasta shape, there’s over 600 of them, add your favorite sauce, and chow down! For many of us, the first sauce that comes to mind is red tomato spaghetti sauce. There’s plenty other sauces and toppings to choose from, including alfredo sauce, clam sauce, and cheese sauce, to name a few.